Ref ID 383: Haggerty Pools built this swimming pool and spa in Connecticut. 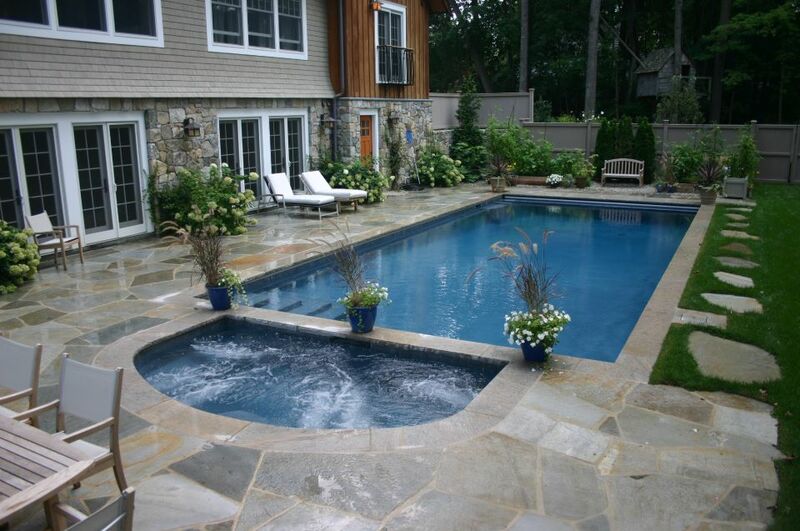 Haggerty Pools built this pool and spa for a customer in Connecticut. 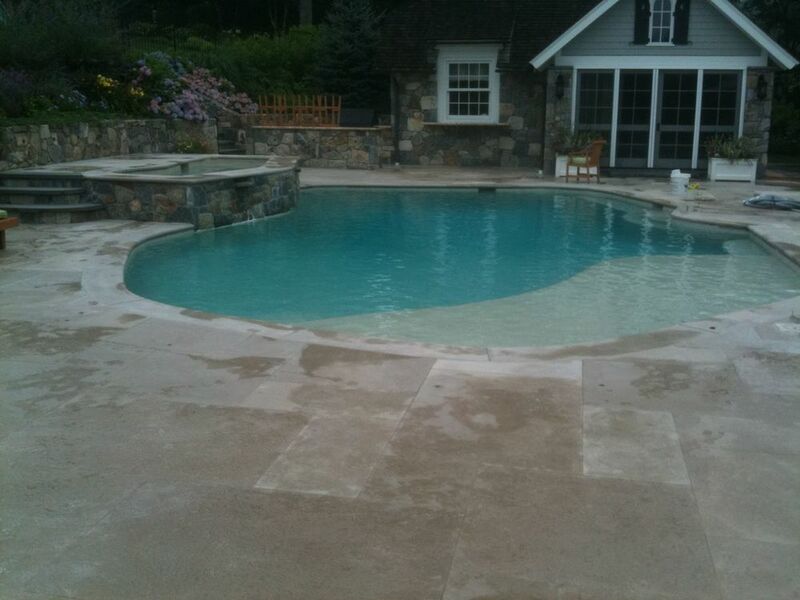 New lakeside swimming pool in CT.
Haggerty Pools has been actively involved in the swimming pool business since 1956. 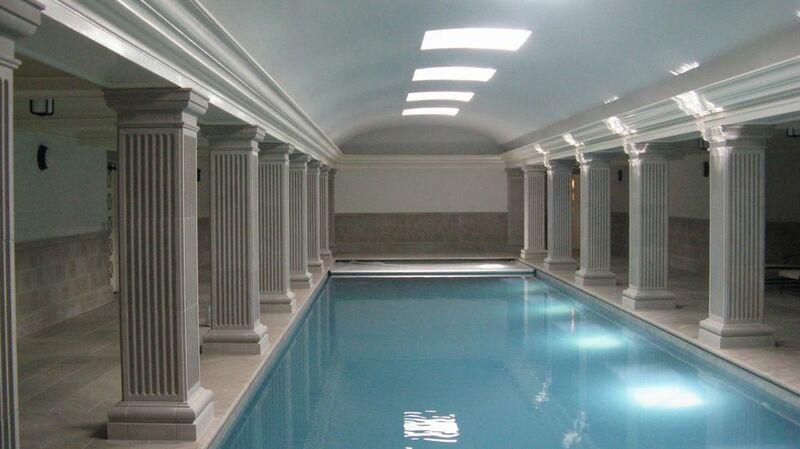 Our focus hasn't changed, providing professional service, restorations, and construction of residential pools and spas to lower Fairfield County Connecticut and Westchester County New York. At Haggerty Pools, we're proud of the work we do and treat every backyard like it's our own.